Are you thinking of joining the heated debate over whether chia seeds or flaxseeds are the better choice for your health? Both are superfoods and provide numerous benefits to your body. Bothalso rank well above most other foods in terms of nutritional value.So, if they are so similar, what sets one apart from the other? Let’s compare these two tiny but powerful seeds head-to-head and see which one comes out on top. 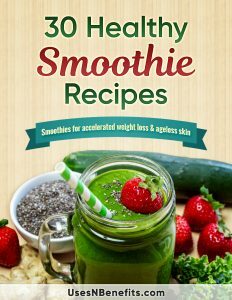 Taste– Chia seeds have a gel-like consistency that will help to thicken your smoothies, desserts and puddings. They however have very little taste and some people find chia gel’s gooiness off-putting.Flaxseeds,on the other hand,addpleasing crunchiness to oatmeal, yogurt or cereal. They have a slightly nutty flavour when wholebut are a little sweeter and fluffier when ground. ProteinThere isn’t much difference in the protein content of both seeds, with 4.4 grams of protein in an ounce of chia seeds compared to 5.1 grams in a similar amount of flaxseeds, giving flaxseeds a slight advantage. Chia seeds, however, are a complete protein, containing all of the amino acids needed for protein forming, giving them an edge in the protein department. Fat– Both chia seeds and flaxseeds are rich sources of fat. The great thing is that the fats they contain are healthy fats like omega-3 fatty acids, so in this regard the more the merrier. Comparing one ounce servings, chia seeds have 8.6 grams of fat of which 4.9 grams are the healthy fats type. 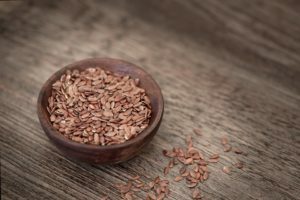 Flaxseeds, however, are a good way ahead with 11.8 grams of total fat with healthy fats accounting for 6.4 grams of those. Fibre– Both seeds contain the two types of fibre – soluble and insoluble, eachof which is beneficial to the body. 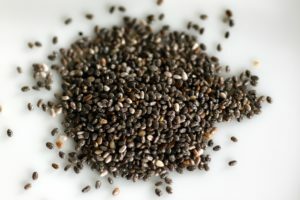 Chia seeds,however, provide plenty of soluble fibre,whereas flaxseeds are rich in the insoluble kind.The adult recommended daily intake of fibre is 25 grams and while both of these superfoods are exceptional sources, you get 10.6 grams from an ounce of chia seeds but only 7.6 grams from flaxseeds. Micronutrients–Chia seeds and flaxseeds both go a long way in ensuring you are on target to meet your daily requirements of a host of vitamins and minerals. Chia seeds are richer in vitamin B9 (more popularly known as folate),calcium and phosphorous, but flaxseeds take the lead when considering magnesium, potassium, vitamin B1, copperand choline (often associated with the B-complex vitamins. Also, while flaxseeds offer some iron, there is more to be found in chia seeds. The same is true of selenium, with chia seeds standing out above flaxseeds in terms of content. Convenience – Whereas, chia seeds may be eaten whole or ground, flaxseeds should be ground before using to ensure you get maximum nutritional value form them. If flaxseeds are consumed whole then they will pass right through the digestive system and leave the body taking all their goodness with them. Chia seeds also do not spoil easily and may be stored for long periods at a time. With flaxseeds, once you grind them they begin to go rancid very quickly. You have the option of storing ground flaxseeds in the refrigerator or just grinding as much as you need each time. The fact that chia seeds absorb up to 12times their weight of water when soaked means they are perfect forleaving you feeling fuller for longer. You are, therefore, less likely to overeat and will snack less between meals. So, if you are on a low-calorie diet then chia seed can provide valuable assistance. All the water they hold also means that chia seeds are great for keeping you hydrated. That’s good news for athletes in need of an endurance boost. Taking a look at our head-to-head comparison of chia seeds and flaxseeds, you can see there isn’t much to choose between the two. So, what’s the final verdict? They are in a dead heat in terms of protein and micronutrient content. While flaxseeds are winning in terms of lignans, fats and taste, chia seeds get the definite edge for convenience, fibre and calories. 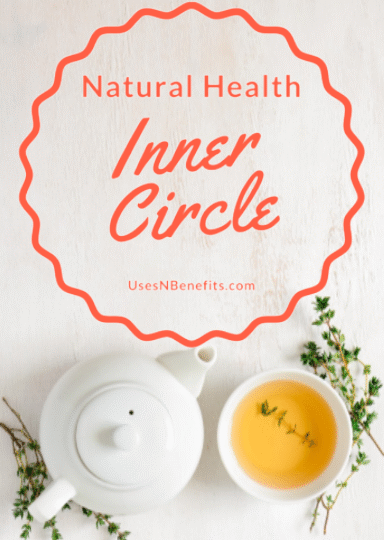 The tipping points then come down to the little extras that chia seeds providein terms ofleaving you satiated for longer and helping with hydration. Winner Chia seeds – by a nose! Both chia seeds and flaxseeds are excellent ways to improve your nutrient intake and adding both to your diet will certainly allow you to take advantage of the superior qualities of each. You are assured of a wider range of vitamins and minerals if you opt to give both seeds a chance to be a part of the dishes you make. 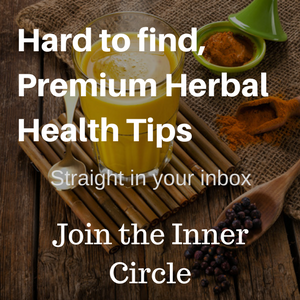 Vegetarians especially will find chia seeds and flax seeds to be particularly useful in ensuring that they get sufficient of the recommended quantities of nutrients that are missing from a plant-only diet. So, while chia seeds seem to take the lead in this superfoods contest, remember that each person’snutritional needs are different. You will have to carefully consider what your particular situation requires in order to pick your own winner.